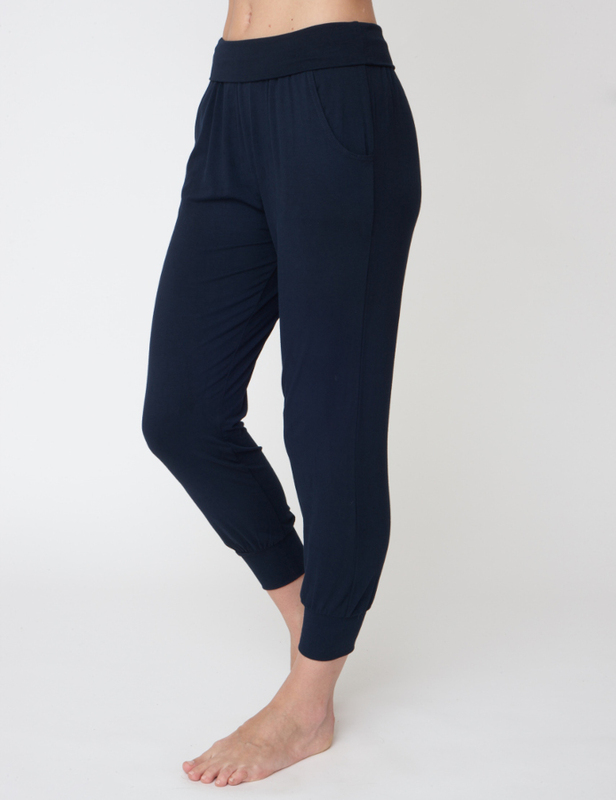 A relaxed fit 7/8 length harem pant in sumptuously soft Bamboo jersey. 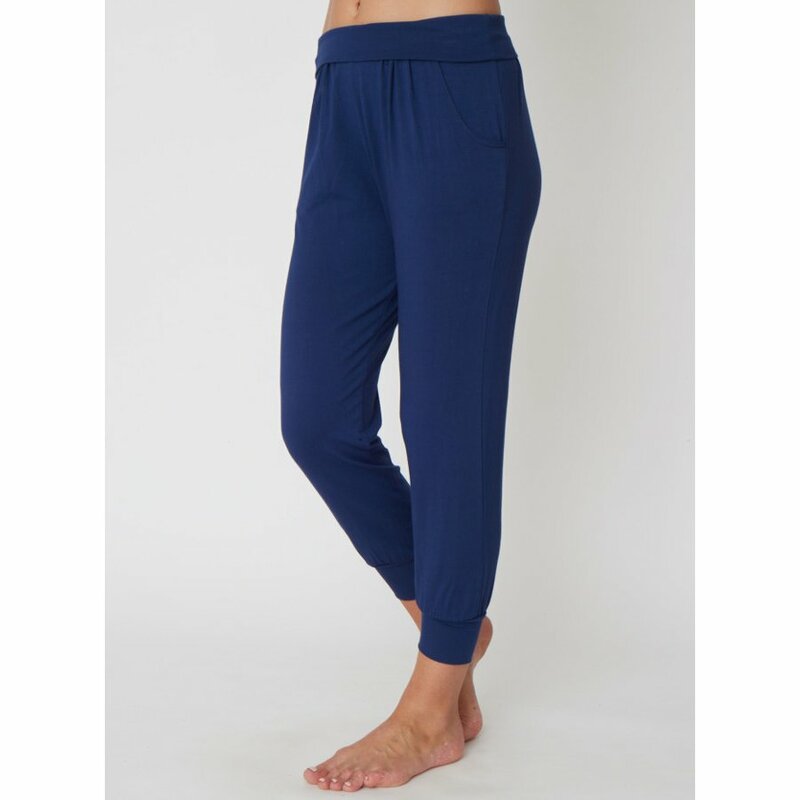 Made with deep elasticated cuffs to make sure that they stay in place during yoga practice. 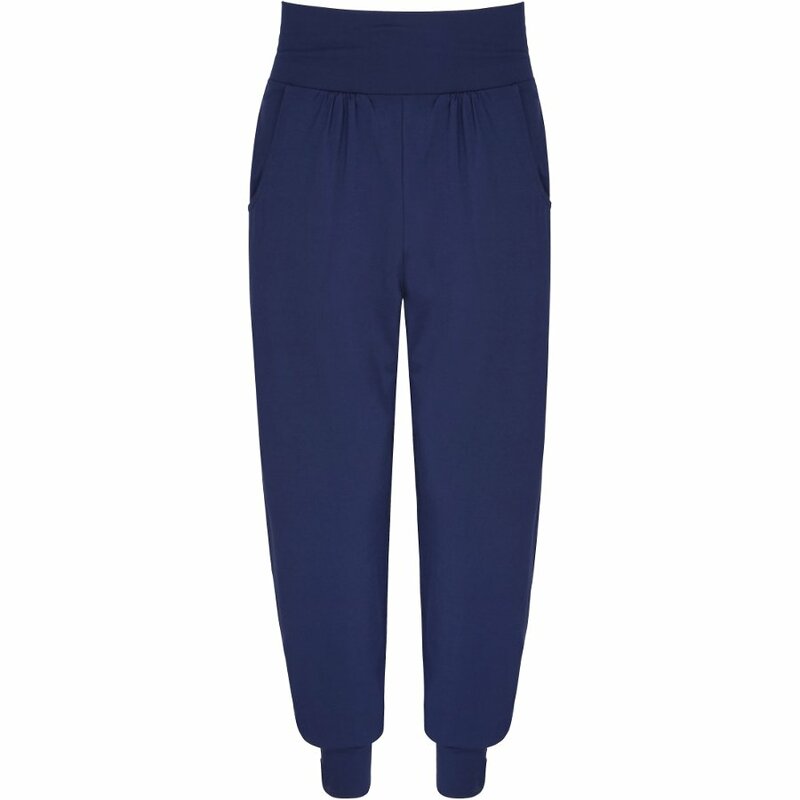 The flattering style and cut conceals a multitude of sins. 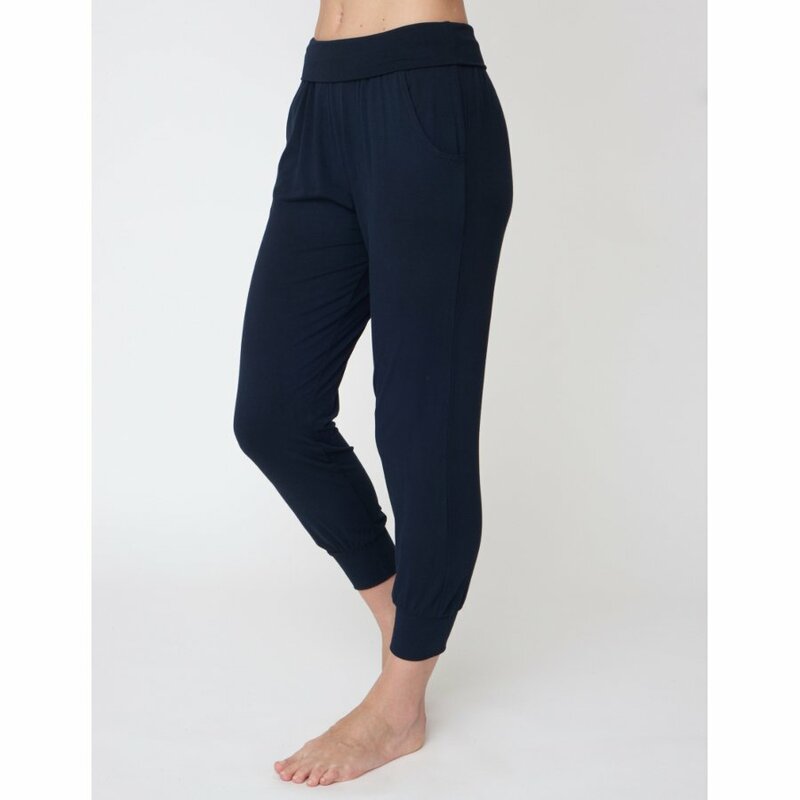 These ethical yoga pants are made in a factory in Turkey where employees work in excellent conditions, work a maximum of 45 hours per week and are given holiday pay. 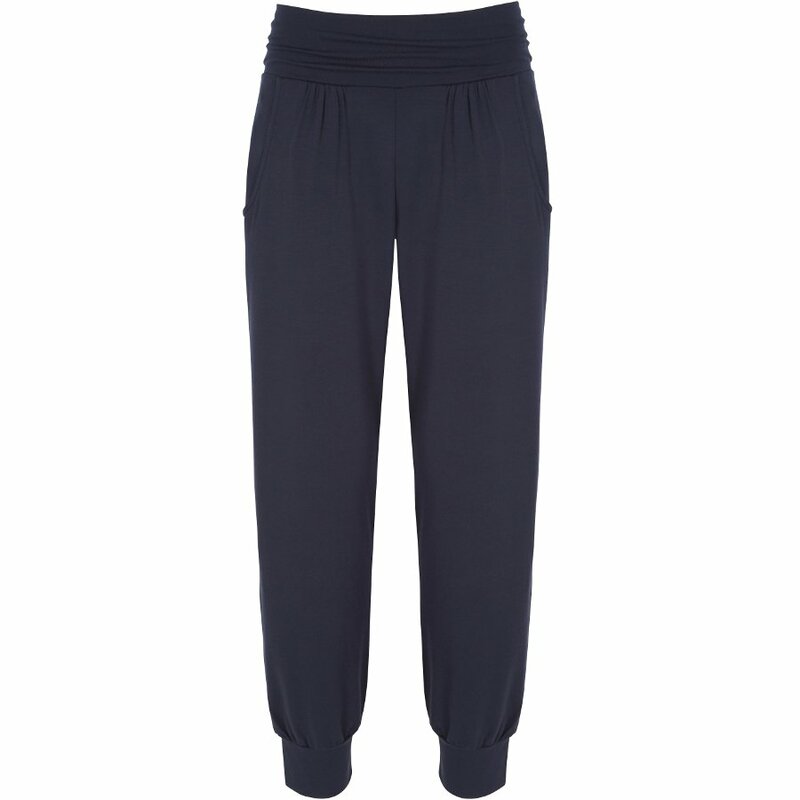 Embellished with a discreet row of Swarovski crystal, the Asquith signature. 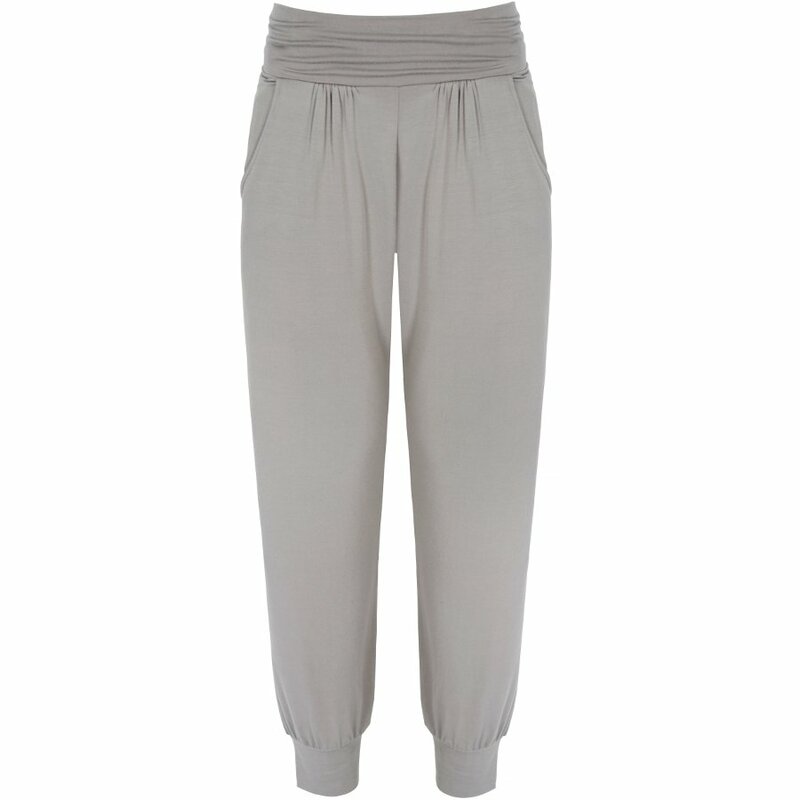 There are currently no questions to display about Asquith Bamboo Heavenly Harem Pants.